STS Technical Services is hiring Test Engineers at Aberdeen Proving Ground in Maryland. In this role, you will plan, coordinate and work with technicians to accomplish projects within heavy-duty test and development. The objective is to validate new product designs as part of new product development as well as resolve issues on sustaining products. 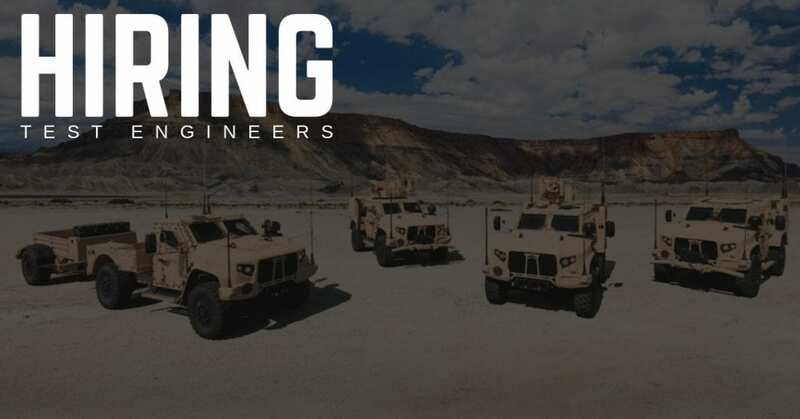 This is a tremendous opportunity to work for a company that holds industry leading standards for defense and also is on the leading edge of an industry boom. Assist with establishing of requirements for testing of heavy-duty vehicles and associated equipment according to the needs of the project. Recommend what equipment resources are necessary to accomplish the test. Assist in formulating project estimates. Assist in creating test plans and implementing them via communication to subordinate engineers and technicians. Create plans for fixtures and test apparatuses and supervise their construction and development. Coordinate, supervise and monitor progress of testing. Recommend corrective actions needed to maintain schedule and cost targets.